DTAUS payment files? That uses SEPA now! But unfortunately this does not apply to all processes and systems. 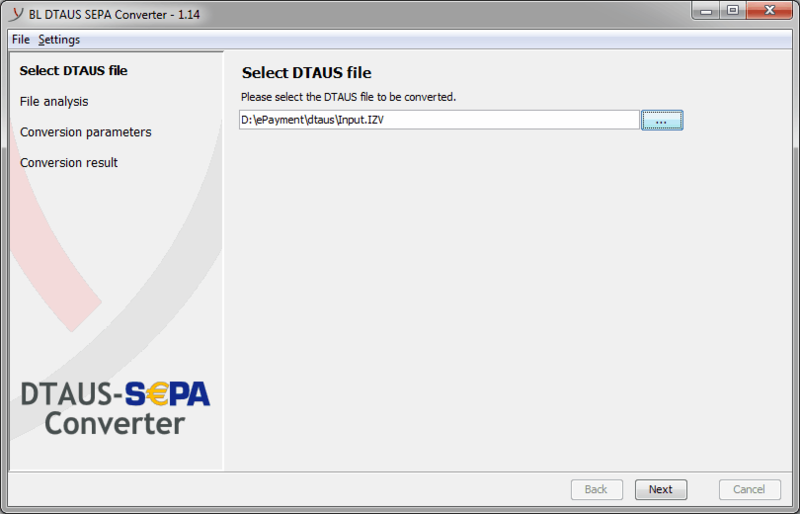 Until the final conversion of all business processes, the CTAUS-SEPA Converter covers this situation: The converter is used to create standards-compliant SEPA files from the DTAUS files still arising today. The program handles all of the details, such as the IBAN conversion or adding the mandate information for direct debits. Whether you need to convert credits or direct debits or create SEPA files in a particular format version — the program provides the necessary flexibility. The IBAN required for SEPA is determined in a completely transparent way from the available account numbers and sort codes. The integrated conversion of account number and sort code to IBAN and BIC involves all of the IBAN rules issued by the Deutsche Bundesbank, including the stipulated account check algorithms. All conversions and directories of the Bundesbank are of course updated on an ongoing basis per program update. Even the best program is useless if it does not fit into the IT environment. The flexible implementation of the converter guarantees integration into all corporate processes. Thanks to the Java™ implementation, the program can be integrated into any system environment. In addition to Windows® and Linux®, it also supports the Mac OS® operating system. The program is either executed via the graphical user interface, the command line or from another application. For large companies we also have a web application available. 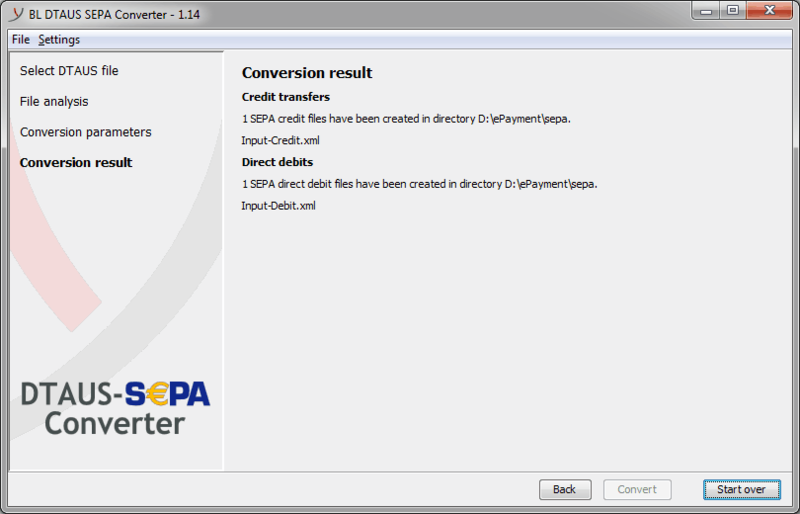 For SEPA direct debits, information is required that is not contained in the DTAUS files being converted. The program also offers everything that it needs to handle this problem. 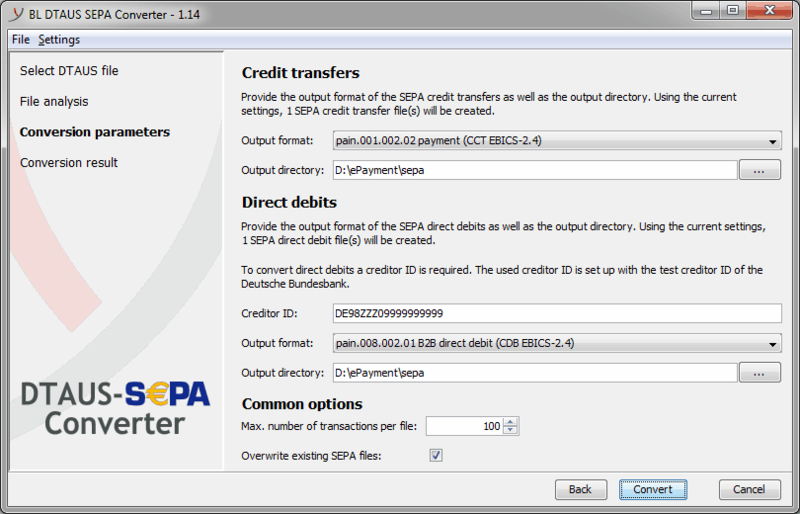 In addition to the creditor ID assigned by the Deutsche Bundesbank that must be specified in SEPA direct debits, also the mandate data is required for each payer. This data can be provided to the program conveniently as a CSV file. 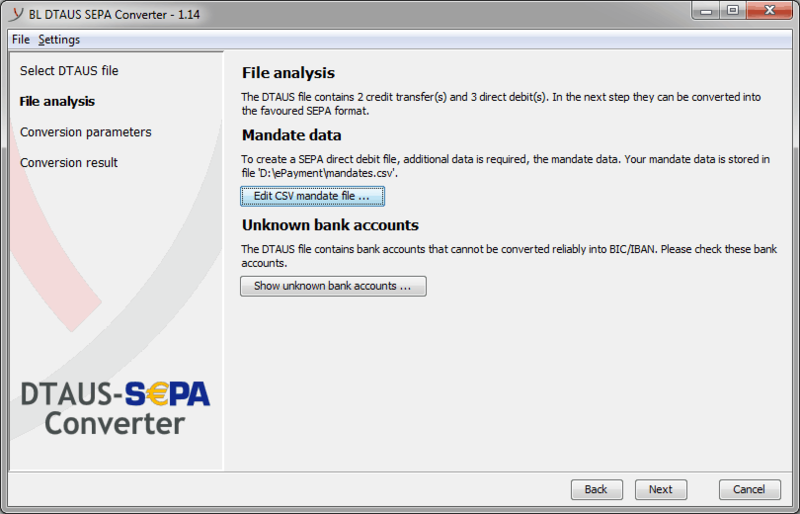 The assignment of the mandate data to the individual payments in the SEPA file can be handled fully automatically by the program. The program can be purchased directly from Business-Logics for the price of EUR 850 (net).